Chance to win a Penny Black! The results are in for the Black Penny raffle! Congratulations to Donald out of San Bernardino CA! We’d like to thank all who generously donated to help support our friends at over Animal Safehouse. SEQUIM — 08/09/2014 — Stamp collecting has been called “the hobby of kings and the king of hobbies.” Although collecting has been on a decline, more than 5 million individuals in the United States collect the small pieces of paper that indicate payment of postage. Some individuals begin as young as the age of 4, and many continue to collect until the day they die. “It’s the trill of the hunt,” said Phil Castell, insurance agency owner and Philatelist. The Strait Stamp Society’s annual show will be at the Sequim Masonic Lodge, 700 S. Fifth Ave, from 9:30 a.m to 5 p.m Saturday.The event is free and open to the public.It will include a special cancel to mark the event, and stamp dealers will have stamps for sale. The U.S. Postal Service will man a table with the latest stamps available, and there will be a youth table for youngsters to dig for treasure. Exhibits also have been prepared by members of the society. The stamp show will expand out of the lodge this year. Cathie Osborne, chairwoman of the show, has assembled displays of firefighting-themed stamps in recognition of the Sequim Fire Department’s centennial celebration at Carrie Blake Park on Saturday. Saturday’s stamp show will feature boxes of stamps from stamp dealers to newcomers to file through to find their way into the hobby. Some stamps can be picked up for pennies. Others can be valued at tens of thousands of dollars. “It takes as much as you want to put into it,” Castell said. Don McIntyre of Sequim, famous on the North Olympic Peninsula for his annual Santa Claus duties, posts Christmas stamps on every letter he sends.“It’s Christmas all year for my family,” he said. News- The Strait Stamp Society meets at 6 p.m. the first Thursday of each month at the Sequim Library, 630 N. Sequim Ave.
SBWire – The Small Business Newswire | SBWire Distribute. San Diego, CA — (SBWIRE) — 07/24/2014 — After one year Nicksstamps.com is now out of beta and accepting stamp collections from clients worldwide. There are several things to consider when selling your stamp collection. Through our years of experience, we have created a simplified process for selling large stamp collections. The first step to sell your stamp collection is to contact us by phone. After a brief description of the collection and a few simple questions, we can determine whether the material can be shipped to us or if we should travel to view your collection material. Unlike other stamp companies, if we do not purchase the collection, we cover all return shipping expenses. Additionally, if we do come to an agreement and complete the sale, we will also reimburse you the cost of the initial shipment to us. News- La Jolla Post Office celebrates 75th Anniversary! News- National Postal Worker Day is annually celebrated on July 1st. This is a day to appreciate and thank the numerous men and women that work consistently and diligently to help us send and receive all of our mail and packages. Employees suffer some of the harshest working conditions, yet continue to work up to six days a week. Across the United States, postal workers walk an average of 4 to 8 miles carrying a full load of letters and packages and delivering them in a timely manner to each one of our doorsteps. Postal workers have to work rain or shine, or should we say rain or snow or sleet or hail or thunderstorms or blizzards or immense heat and/or any combination of the above. Take an extra minute today to say thank you to your postal worker and let them know how much they are appreciated. A simple thank you, maybe a gift or even a handshake will brighten the day of the postal worker who works so hard to service you. Today we can celebrate National U.S. Postage Stamp Day by appreciating the ease and simplicity with which we can send and receive mail. Because of the invention of the postage stamp, one can simply pay a standard rate to purchase a “symbol” that can then be attached to a letter and sent with no responsibility to the recipient. Before the postage stamp, the cost of sending a letter/package was actually given to the recipient. The postal worker would take the letter and deliver it to the desired destination, and would only then, collect the money for the postage. Because of this, there were often times that the recipient would refuse the letter, leaving the cost to the postal service. The postal service had to set aside an allotted amount of money for this, and took it as a loss. NEW YORK – The Rare British Guiana One-Cent Magenta 1-cent postage stamp from a British colony in South America has become the world’s most valuable stamp once again. The stamp has not been showcased since 1986 and is the only major rarity absent from the British Royal Family’s private Royal Philatelic Collection. On 22 May 2010 the 1855 Treskilling Yellow Swedish stamp sold for $2.3 million, and previously held the auction record for a single stamp. History of the British Guiana One-Cent Magenta. Only one copy of the 1c stamp is known to exist. It was discovered in 1873 by a 12-year-old Scottish schoolboy, L. Vernon Vaughan, in the Guyanese town of Demerara, amongst his uncle’s letters. He soon sold it for a few shillings to a local stamp dealer, Neil McKinnon. McKinnon held on to the stamp for nearly five years before selling it to a Liverpool dealer who paid 120 pounds for it and quickly resold it for 150 pounds to Count Philippe la Renotiere von Ferrary. Upon his death in 1917, the count bequeathed his stamp collection to the Postmuseum in Berlin. The collection was later seized by France and sold off in a series of 14 auctions with the One-Cent Magenta bringing $35,000 in 1922. The buyer was a stamp dealer by the name of Arthur Hind from Utica, New York who outbid King George V who was attempting to add the one major piece absent from the Royal Family’s heirloom collection. At one point, it was suggested that the 1c stamp was merely a “doctored” copy of the magenta 4c stamp of the same series, a stamp very similar to the 1c stamp in appearance. These claims were disproven. After Hind’s death in 1933, the stamp was to be auctioned with the rest of his collection until his wife brought a lawsuit, claiming it was left to her. The next owner was Frederick Small, an Australian engineer living in Florida who purchased it privately from Hind’s widow for $45,000 in 1940. Thirty years later, he consigned the stamp to a New York auction where it was purchased by an investment consortium for $280,000 – another record. 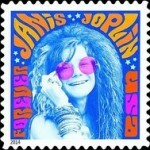 In 1980 the stamp set it’s third record when it sold for $935,000 to du Pont.